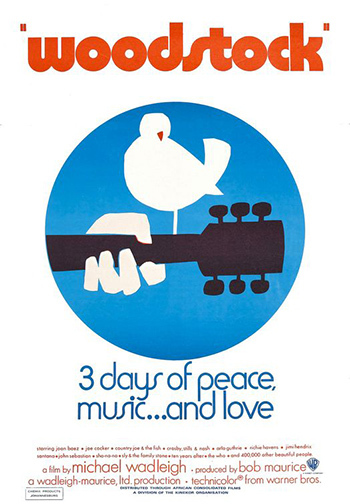 Richie Havens, Joan Baez, The Who, Joe Cocker, Crosby Stills & Nash, Santana, Jimi Hendrix, Janis Joplin, and Jefferson Airplane. We could tell you that this documentary captured one of the pivotal moments in late 1960s America. We could tell you that the film’s editors, including Martin Scorsese and his future editor Thelma Schoonmaker, wisely included footage of festival attendees that spoke to the cultural moment. Or we could just point you to the above list of bands that perform in the film.